By: Laganson, Jello D., Paguio, Maricar A., Timbal, Maricel A. Countries around the world are increasing their efforts to maximize the use of Information and Communication Technologies (ICTs) in education. As noted in the UNESCO World Education Report, the young generation is entering a world that is changing in all spheres: scientific and technological, political, economic, social, and cultural. The Southeast Asian nations have even started preparing the young ones for the job market within the current economic condition by expanding the basic education through developing ICT skills competence. Thus, requiring educators to be ICT competent themselves. However, teachers must be convinced that the ICT is important in acquiring richer range of resources for themselves and the students, as they are the gateway to the development of skills required to exploit the most up-to-date information. This posed a great hindrance, as there are still a large number of teachers who lack confidence and awareness in the usage of ICT in their teaching and prefer the traditional way. Today, most countries include ICT integration, either in their national policies or in laws pertaining to the education sector. 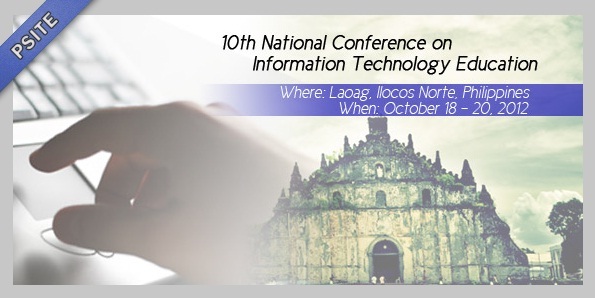 The same trend happened to the Philippines, wherein the Philippine Department of Education has formulated policies for the use of ICT. The Senate Committee on Education, Arts and Culture commissioned SEAMEO-INNOTECH in formulating the indicators in assessing the impact of ICT in education. Using international ICT competency standards developed by various recognized bodies, the Human Capital Development Group of the Commission on Information and Communications Technology (CICT-HCDG) is already working on National ICT Competency Standard for Teachers (NICS-Teachers) which defines the ICT skills needed by teachers in basic and higher education. According to the survey conducted by the Department of Science and Technology (DOST), access to information technology of the secondary schools varies from 34% - 98%, with the Visayas and Mindanao having the least percentage. Davao, the capital of Mindanao, is experiencing the same dilemma. Many teachers are not trained in using ICT in teaching their students, particularly in public schools. It is especially a problem on the secondary level of education, as it is a preparatory level for college but still with a large number of teachers not competent enough in the category of ICT and sometimes, even computer illiterate. This scenario exists in many public high schools in Davao City, especially to those in the remote areas. Integration of ICT on the educators’ pedagogical practices varies from school to school. Most public high schools introduce the basic computer information on limited fields only, specifically in Technology and Home Economic, and do not necessarily require teachers to be computer literate. The Philippine government has already taken action by having programs and projects for the use of ICT in education. However, the mindset of many educators becomes a hindrance to the success of the nation’s effort. They are not ready to face the challenge of technology being integrated in their teaching strategies, which does not really maximize the capability of the students to cope with the impact of ICT on every aspect of the nation. This can already be seen on fresh high school graduates that have already entered college unprepared and are still computer illiterate. The Philippine government has already initiated a program that would train the teachers towards the modernization of educational system. They are encouraged to integrate ICT in different subject areas. The Department of Science and Technology (DOST) for once has a computer literacy program provided for different public high schools. Department of Education (DepEd) has also collaborated with different agencies, like IBM, to inculcate to teachers how they would use ICT to catch the interest of students towards learning. This is useful based on the facts that schools have large class sizes but still need to be ensured that each student would pay attention to the lessons being taught. Various trainings and seminars would be very helpful in molding the teachers to be open to the changes in technology and continually learn towards ICT competency. The efforts to intensify the campaign of integrating ICT to education are visible on programs made by the government. This shows that the government recognizes the importance of ICT especially to the young ones. Teachers are the one responsible for educating our Young's. With this, it is timely to study whether teachers are competent enough in using ICT in their teaching practices. This would ensure that ICT facilities are used to the fullest. Upon seeing the significance of ICT, the researchers became motivated to conduct the study. The researchers are aware on how critical it is that public high school students would get the most out of their ICT education. This would aid them not to be left behind by the fast pace of evolution of technology. Generally, the study seeks to answer the inquiry: What is the significant relationship between the profile of teachers and the ICT competency of public high school teachers in Davao City? 1.3 ICT training and seminar attended? 2.2 Skills in manipulating ICT. public high school teachers in Davao City? Generally, the purpose of the study is to determine the significant relationship between the profile of teachers and the ICT competency of public high school teachers in Davao City. This involves the issues behind the efforts of moving towards ICT competency. This research is also made to investigate how this affects the quality of education in Davao City and its contribution to the development and readiness of the students to a technology-based society. 1.3 ICT training and seminar attended. There is no significant relationship between the teacher profile and ICT competency of high school public teachers in Davao City. Through this research, they would know how effective ICT is towards innovations in education. They could make this as a guide in making a plan towards intensifying ICT integration in teaching different subject areas. This research would pose certain considerations regarding ICT integration that can be useful in making national policies pertaining to the education sector. This will encourage them to create development programs towards ICT competence. Heads of each school would also know if their faculties are competent in teaching ICT. 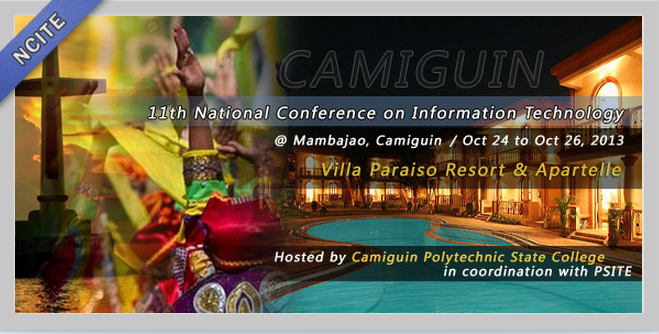 They will be given an opportunity as leaders in the integration of ICT in the academe. This would ensure that the students are getting the most of what they need to know that are needed for living and working in a digital society. The research will benefit the government of Davao because it could cater information that would show them whether teachers in Davao are competent in teaching ICT to students. There would be an access of information about student’s progress based on the performance of the educators. It could also give them an idea on how to intensify their campaign in educating teachers with regards to ICT to better serve the students who are very dependent on the learning that comes from their teachers. Possible research might come out regarding the same matter but on different location or place. This would be useful to researchers who would like to conduct the same study on their place. Constructivist theories of learning underpin ICT, being one of the new ways of teaching and learning. It constitutes a shift from a teacher-centered education to the one that is learner-centered. Constructivism’s central idea is that human learning is constructed that learners build new knowledge upon the foundation of previous learning (Berandoy, 2006). Aside from appropriate knowledge and skills, another form of ICT "need" is to have skills and knowledge delivered in such a way that they remain relevant over time and in different situations. The nature of teaching profession is to be involved in and adapt to, a variety of teaching practices and approaches, and to different roles as their career develops. These demands indicate that teacher needs to be able to transfer and apply ICT skills in a range of settings. Their need to accept change will continue throughout their career due to the dynamic nature of the curriculum and the need to update and expand skills in order to develop professionally. Thus, the issue of transferability arises. The development of the skills required to exploit the potential of ICT can only be regarded as successful if teachers have the ability to understand the relevance of the skills and apply them across a range of teaching and learning situations. This means that flexibility is an important element in teaching. Teachers need to develop skills in such a way which enables them to deal with situational change, e.g. from using a particular piece of software in one school, perhaps, to using a generic equivalent in another school or from working with a group of freshmen pupils through to working with more senior pupils. They also need to be able to cope with role change, so that they can move flexibly from their position as users of ICT as a personal learning resource to the position of teachers using ICT resources within the context of the subjects and levels they teach. Flexibility is also important in developing the ethos of evidence-based practice, the key to effective professional development within a continually changing area such as the application of ICT. In order to absorb innovation into practice, teachers have to develop skills and knowledge in such a way that they can understand the relevance of the skills and apply them appropriately in their own learning contexts (Williams, Wilson, Richardson, Tuson, and Coles, 1998, Section two). The most important aspect of infusing technology in the curriculum is pedagogy. The local context and the individual approach of the teacher linked with that of their subject discipline must be paramount. Teachers move through stages as they adopt ICTs. The teacher adopting technology applies it simply as a substitute for current teaching practice where technology is not used (e.g., teacher lecture becomes electronic presentation supporting lecture, students writing papers by hand become students writing papers using a word processor, course syllabus on paper becomes course syllabus online). The adaptation of ICTs by teachers should challenge and support changes in teaching practice, building upon individual pedagogic expertise. As teachers’ pedagogical practices with new technologies continue to develop, and organizational support and access to ICTs grow, it becomes possible to move beyond the adaptation of ICT applications that fit with existing practice. Transformation of the educational process will start to emerge and may move toward more student-centered learning environments (UNESCO, 2002). In an information processing theory, we process information that arrives by gathering first the information, then representing it, then storing it. We usually recall the information later. The teachers in this theory are encouraged to use repetition and present lessons in a clear organized manner. Teachers are also encouraged to train students to use chunking when storing large amount of information by breaking up information into meaningful blocks. Inquiry based learning theory emphasizes active involvement of students in acquiring knowledge. Teachers are better be able to help students advance their technology skills, expand learners’ capabilities to display and organize information, and multiply the ways they can contribute to the project (Berandoy, 2006). Simply providing the technology for learners and teachers is not enough. The type and level of access is also important. ICTs will improve learning very little if teachers and students have only rare and occasional access to the tools for learning. • willingly update skills and knowledge in the light of new developments (UNESCO, 2002). The figure below shows the conceptual framework showing the variables of the study. The independent variable which is teacher’s profile serves as the input in determining the level of ICT competence of public high school teachers. Under it are the following indicators: educational attainment, teaching experience and ICT training and seminars attended. The educational attainment shows the educational background of the teacher. The teaching experience indicates how long the teacher is in service. The ICT training and seminars attended is the type of training and seminars attended pertaining to ICT that the teacher went through. The level of ICT competence of public high school teachers acts as the dependent variable having the following indicators: pedagogical practices and skills in manipulating ICT. Pedagogical practices refer to the use of technology in components of instruction process while adhering also with the social and professional considerations. Skills in manipulating ICT is the measurement of the ICT knowledge and skills related to technical operations and concept, and productivity. The study is good. I hope public school teachers will entertain the researchers. I hope it really gets implemented. As per experience, they tend to reject the idea because of lack of support from the government (e.g. computers, finances, etc.)... With just the thought of it, they would say, "Nah! ", especially the elderly..Hehehe! Ok. The research study is good, but researchers must take into considerations in determining if this study is feasible or not. Is there a significant relationship between the profile of teachers and the ICT competency of public high school teachers in Davao City? the question is, how would you know if the teachers belong to one of the two? there lies the factors like age, educational attainment, gender, teaching experiences, interests etc.. and among these, AGE is the most important factor in determining it. And what will gain the highest possibilities, or highest occurences, that might answer ur problem if ur study is really feasible in the end. hmmmm..." 2.2 Skills in manipulating ICT"? Maybe rephrasing this statement will give out better notion to it. Also, be more specific in Profiling. Would be better to discuss them as well. And I agree to Dada's proposition. Age, I think is one of the significant factors in this type of profiling. Generally, I agree with the researchers ...their aim is inline with the current needs of the students today...As a member of an academic institution, I’ve experienced first hand the lack of knowledge of my students in terms of basic ICT competency....I believe that this is a result not just the lack of ICT competency among the educators but also the lack of support coming from the responsible agencies itself. Although massive efforts has been given to schools (computers, trainings and seminars), everything still depends on the learning capacity of the teacher…..
Is it through the 201 file? a.what are the tools used in determining the level of ICT competency of HS public school teachers in Davao City??? a. How did you come up with your Null Hypothesis? * What specific field on the 201 file will be validated? * How will you validate those? * Do we need to include the resources provided by the government on the teacher/ on the school? Thnx for the positive comment. i strongly agree with what you have said dada. We did not include the age in the profiling. It might matter but we are thinking that if we include it would be hard for us to quantify it. the statement "Skills in Manipulating ICT" was suggested to us by our adviser. It sounds good to us. But, well try to consult our adviser regarding your comment if ever we will decide to rephrase it.